It is January 1st and we hope everyone had a safe and enjoyable holiday season. 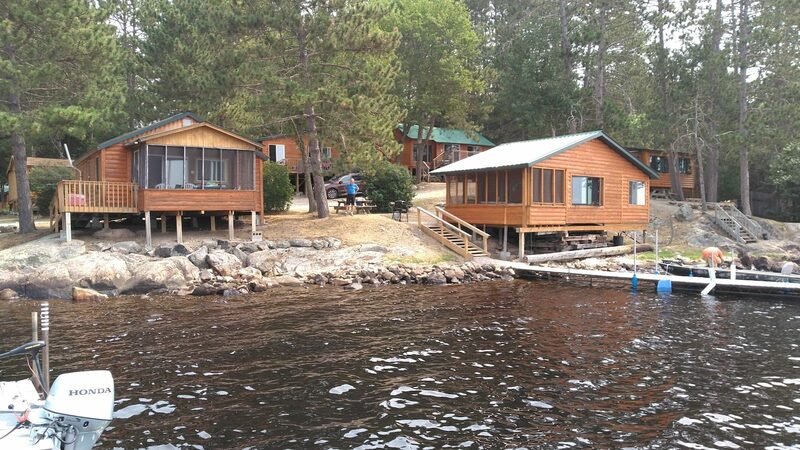 We were home for all of December and as of late have been able to enjoy some time in the shack fishing. 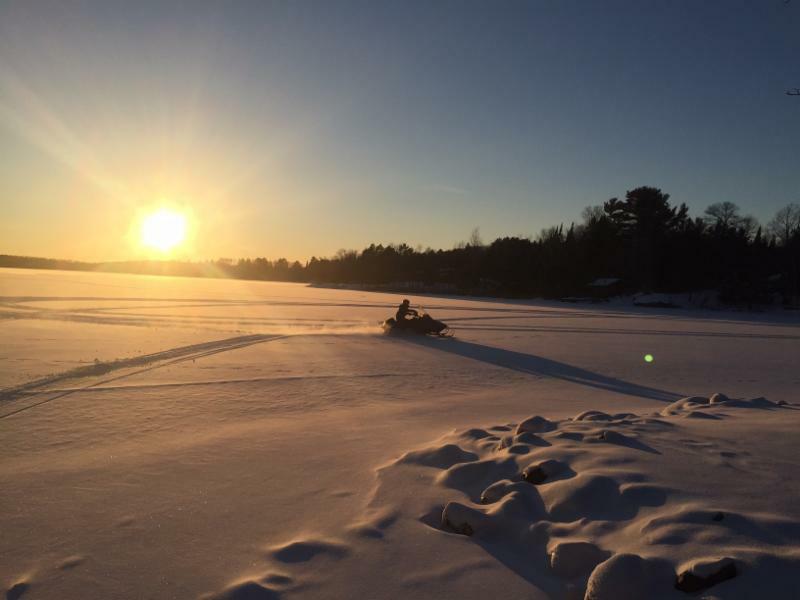 The kids have been having a good time getting out on the lake and taking the sleds out for a ride. We finally have ice thick enough to fish safely on most area lakes. We are seeing ice shacks and trucks out on Shagawa but always important to check ice thickness before you venture out. The MN DNR page is always a great resource when it comes to safety and ice condition reports. Click here for more info. 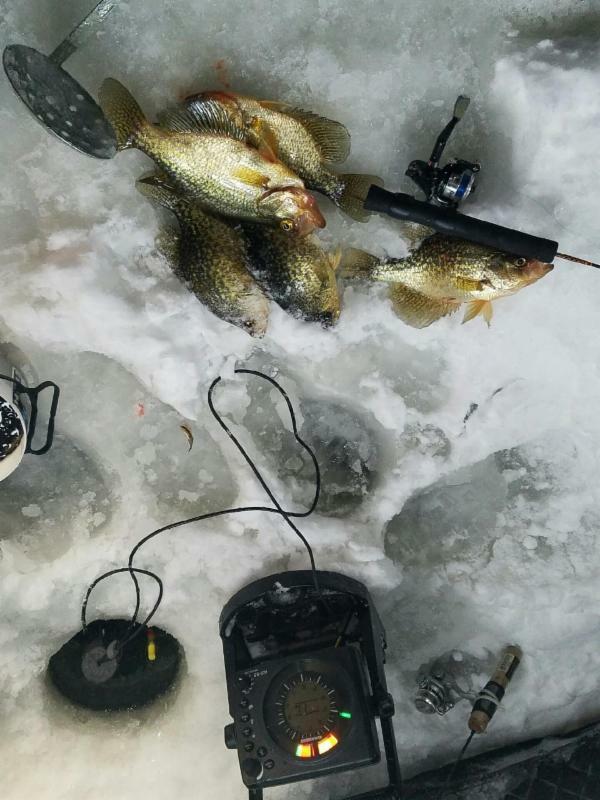 John was out on the 31st and fished crappies. It was a slow go at first but they moved with about 1.5 hours of fishing left and caught the majority of the 15 fish they caught in that spot. 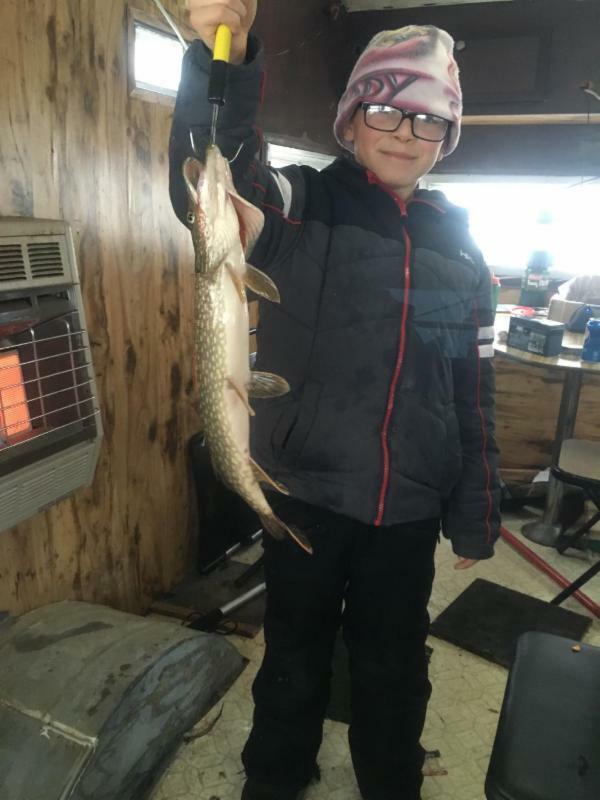 The biggest of the bunch, a 15″ slab, was landed but when laid on the ice it to a couple of flops and slid right back down the hole. At least that’s their story anyways!) 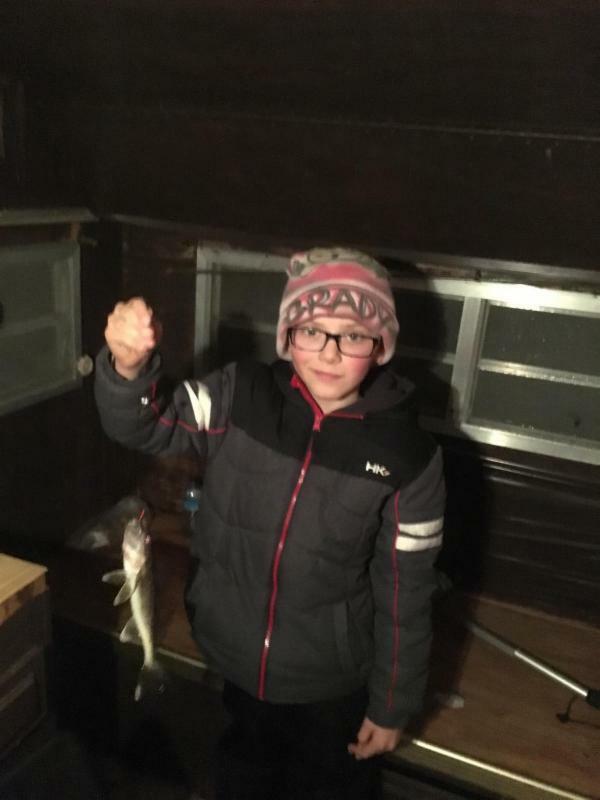 We are also hearing some good reports of some nice fish being caught on White Iron and Farm Lake. Ely Winter Fest February 2, 2017 – February 12, 2017 | All Day Ten days of winter fun in Ely. Snow carvings in the park, art in merchant windows, food, music, winter sports and many other events. Fun for the entire family. Don’t miss out on this spectacular annual event! Most events are free. Visit www.elywinterfestival.com for more event information. WolfTrack Classic February 25-26, 2017 | Join us for the Vet Check (VCC) & Pre-race Lasagna Dinner (Senior Center) on Saturday and the race on Sunday (Ely Ball Field). The 6-dog race ends at Tower and the 8-dog race winds around and finishes back in Ely. Award Banquet will be at the Grand Ely Lodge. For more details visit www.wolftrackclassic.com.